Ghost of Tsushima is the latest IP from Sucker Punch, the studio behind the likes of Infamous and Sly Cooper, two hugely popular PlayStation properties. Yesterday Sucker Punch has shared some pictures on their official Twitter account that showed them working with actual, real-life Samurai for the game’s development. One of them was Masakumo Kuwami, who is the 10th Grandmaster of Tenshinryu Hyohou, and the other was Assistant Instructor Ryusetsu Ide. Tenshinryu Hyohou is a Tokyo-based martial arts school founded in the 17th century by Yahei Tokizawa. Currently, the school teaches the traditional art of the sword (Kenjutsu), the art of drawing the sword (Battojutsu), and also teaches the use of various other weapons, such as the spear and chain sickle. 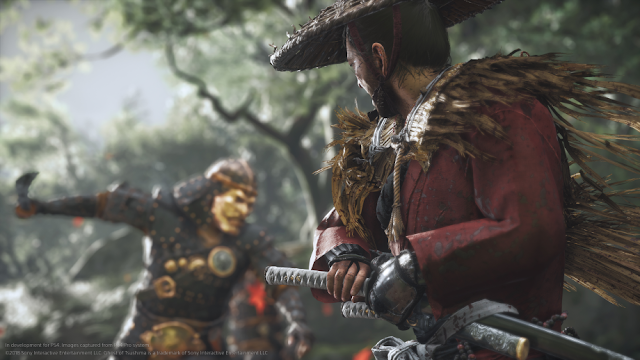 Ghost of Tsushima will release exclusively for PS4, but it is currently without a release date.